Spring showers trigger the possibility of water making its way inside your Porsche due to clogged sunroof drains. Service includes raise car on lift and clean all body drains including removing necessary trim panels. * Must provide coupon at time of write up. Cannot be applied to previous sales. May be additional charge of $79.05 if needed to clean out completely clogged drains. See your Porsche service consultant for complete details. As the weather improves and you’re ready to put your Porsche back on the road – bring your Porsche down for a complete 32-Point Inspection of items like the condition of your vehicle’s brakes, tires, fluids, belts, hoses, suspension, and more. We’ll give you a written report of what looks good and what needs attention. *Must provide coupon at time of write up. See your Porsche service consultant for complete details. 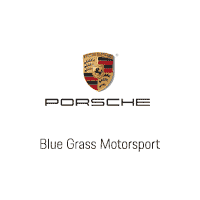 Blue Grass MOTORSPORT will get your Porsche tracking straight and cornering like it should with our Wheel Balance & Alignment Offer. Our state-of-the-art equipment will electronically balance all 4 wheels and set your Porsche Alignment back to its factory specs – saving unnecessary tire wear and getting you tracking straight down the road again.